Kalichi was born in Yonkers, New York in 1950. He was deeply influenced by the spirit and politics of the 1960's. In 1978 he took a one way ticket to Ireland and has been a resident there ever since. ?I left America, having spent the previous eight years as an anti-war activist. As a young man of seventeen in 1967, I remember marching in my first peace rally in New York City. Those events and times changed the direction of my life.? ?I left America, having spent the previous eight years as an anti-war activist. As a young man of seventeen in 1967, I remember marching in my first peace rally in New York City. Those events and times changed the direction of my life.? While living in Ireland, Kalichi has worked in performance contexts, education, prison, health, and religious institutions. He directed and performed in six original dance plays with Liberation Dance Workshop, which he formed in Dublin in 1979. He has also been teaching Tai Chi for 35 years and is the author of 'Dance, Words & Soul: Ways of Moving with Change'. Kalichi's integrated approach to working with dance, music and writing has received numerous awards from the Arts Council of Ireland. ?When I first came to Ireland, I arrived with a guitar, a backpack full of books and a few songs which I had written and performed back in New Haven, Connecticut where I had lived. Over these many years I continued to play the guitar and write songs. But it took another 25 years before I gave myself to this deep desire to perform my songs and music in public again.? ?My ?coming out' again as a songwriter and musician was in March 2003. I was doing support for the songwriter Mick Hanley at The Spirit Store in Dundalk, Co. Louth. It was the first night of the infamous ?shock and awe' bombing of Baghdad. It seemed a fitting night to start singing again.? ?My first recorded song, 'In This Tower', was written in response to what happened in New York City on September 11th 2001. The song was also a response to the build-up of the war in Iraq and to the millions who marched for peace - reminding us that our actions, our voices can make a difference.? ?I'd like to imagine that I'm linked with the tradition of the troubadour, the poet-musicians who brought Europe literature, a vision of egalitarian politics, an ethos of comradery and the belief in the redemptive power of love.? 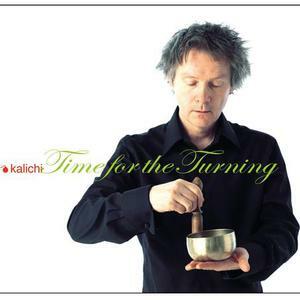 Kalichi's debut album, 'Time for the Turning', was released in Ireland in 2006 on Blue Horse Records.